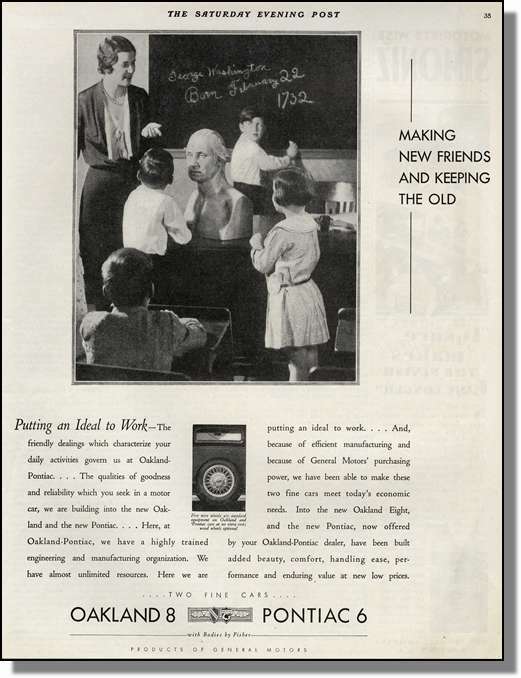 General Motors is apparently planning to drop the Pontiac brand, just as they dropped its predecessor and partner Oakland during another economic downturn in 1932. My dad always drove Chevrolets, so I feel a certain connection to all GM brands. 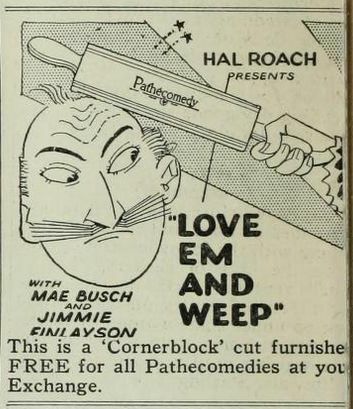 This is a 1931 ad from the Saturday Evening Post. Yesterday as I drove home from the Park and Ride, NPR was talking about how car companies are buying fewer ads, which is hitting newspapers, magazines, television, and radio. 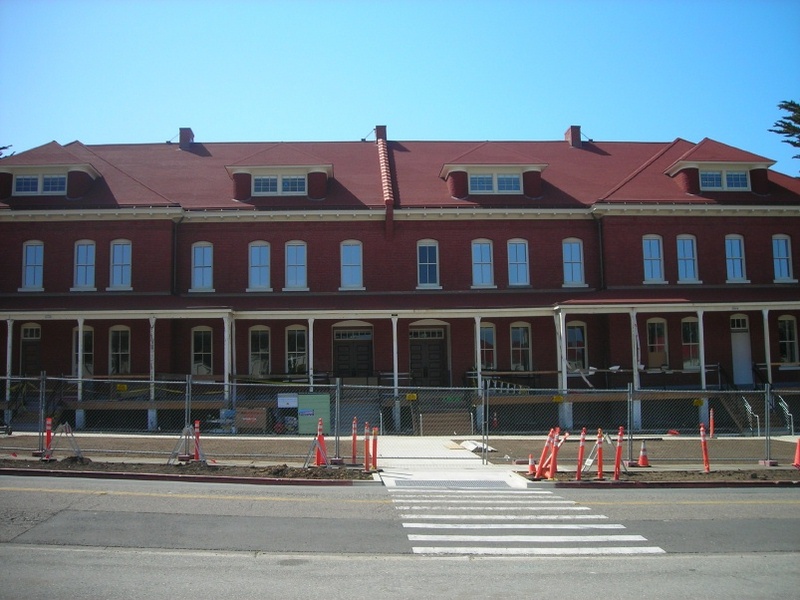 Yesterday we took a drive to the Presidio and took a look at the Disney Family Museum, which is being built in one of the barracks along the main post parade ground. They are making progress. The family is excited. It was cold and windy yesterday and today. Yesterday we attended the annual auction/dinner dance for Good Shepherd School. 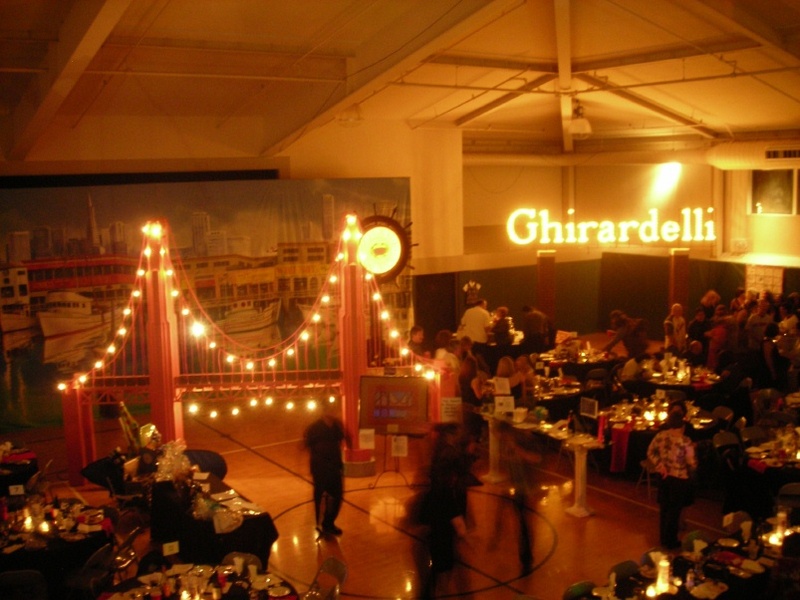 The theme was San Francisco. We donated a history walking tour for two families. The decor was nice and there was a good turnout. I think they made some money. I took the photo last night. Yesterday morning I went to the barber. He said that in the days of shave and a haircut, two bits, that the haircut was 15 cents and the shave 10. Now they charge 20 dollars for the haircut and 25 for the shave. He said the shave is more now because people don't ask for it much and it throws off their routine. However, it sounds as if they do a good one. I'll have to save my money. I took this photo on 19-April-2009. Doris Lessing talks about how World War One damaged her parents and how the trenches continue to haunt her 90 years later. In the first half of Alfred & Emily, she writes an alternate biography, imagining what her parents' lives might have been like, and what Britain might have been like, if World War One had not happened. I liked this part. It was a fairy tale with a realistic edge. In the second half of the book, she presents a series of short items about what really happened to her parents, what the family's lives were like in Southern Rhodesia, and her issues with her mother. I was struck by her repeated comments about how her father's diabetes would have been treated differently today. I had not read any of her stories since I was in college. 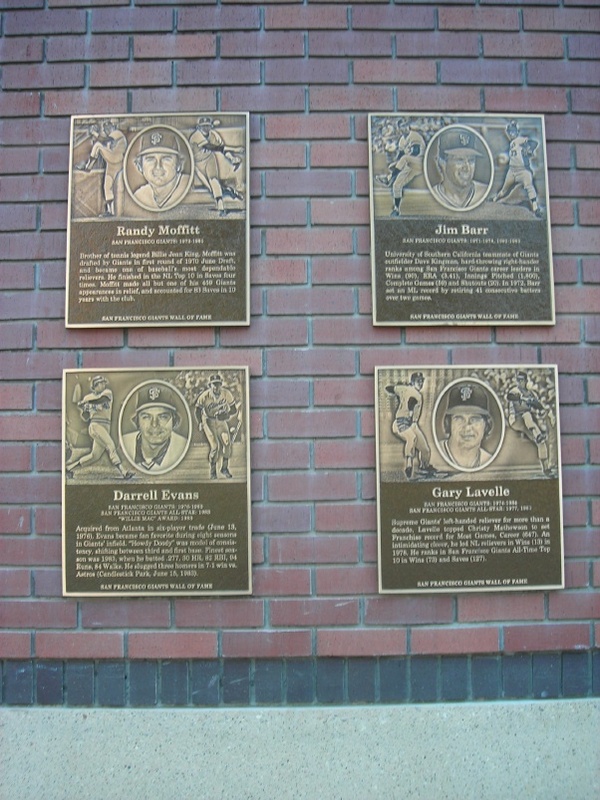 In September, 2008 the Giants unveiled their Wall of Fame along the King Street side of the ballpark, whatever it is called this week. This set of plaques in honors two Giants whom I remember well. 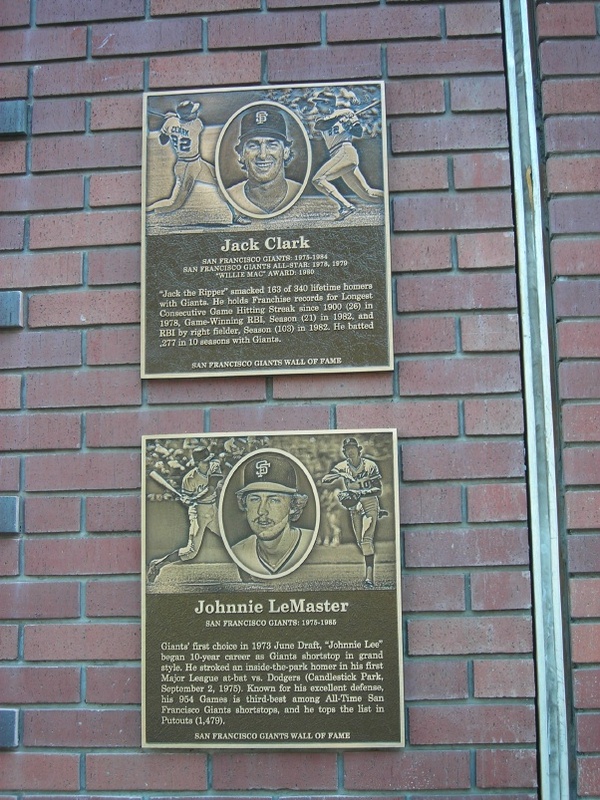 Jack Clark played for the Giants during the late 1970s and early 1980s. Jack the Ripper was a wonderful hitter. He was forced to play right field until Willie MacCovey retired. Clark was a good first baseman. I was sad when he left the team. Johnnie Lemaster was a shortstop who was not as bad as many people said. He got booed a lot, but I saw him make a lot of good plays. He never did hit much. 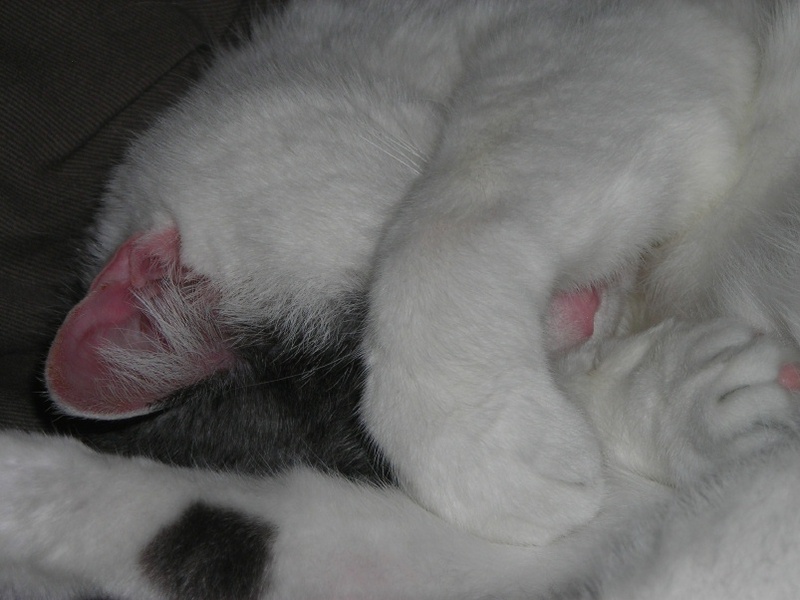 I took the photo on 29-September-2008 (3081). While serving as editor of Manufacturer and Builder Magazine, he wrote many articles, including the ones which gave this blog its name. 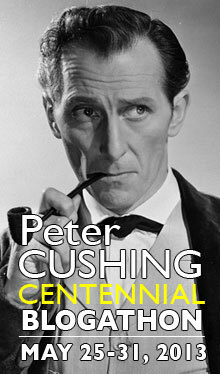 In 1893 and 1894, he published a 23-part (!) memoir in the same periodical. 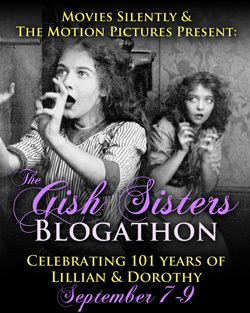 Here is the fifteenth part. He continues to music. General Krayenhoff was Cornelis Rudolphus Theodorus Krayenhoff, a doctor, scientist and soldier. 9th. Career as a Musician.-- In the year 1828, an event took place such as usually happens only once, in a generation -- namely, the colossal organ in the, cathedral of my native town (Nymegen), which had been built some fifty years before, and had become celebrated for the beauty of its intonation and the excellent acoustic properties of the church in which it was placed, had to be overhauled for the purpose of cleaning and repairing. It was one of the celebrated organs in the Netherlands, where the different Protestant churches are proud of the excellence of their organs, on which, on certain days of the week, the organist is in duty-bound to perform. for the benefit of all lovers of music, who never fail to take advantage of the opportunity, and especially strangers, who in the summer season visit that city in order to enjoy the lovely scenery offered by the variety of the surrounding hills and valleys, and on which the city itself is built. The public parks, situated on the highest parts, offer the most charming view of the highly-cultivated bottom lands of the German Rhine, which, when entering the territory of the Netherlands, divides itself into three branches -- the Yssel, the lower Rhine, and the river Waal, or Vaal, which latter is the largest, and, in fact, the only branch which is navigable the whole year round. This fact makes Nymegen a very important city, being on the great highways by water or land for entrance and exit from the territory of the Netherlands. English divines, as well as laymen, have been in the habit of ridiculing what they call the extravagantly large size of the organs built in the Protestant churches of Holland. This ridicule is also frequently found repeated in the musical literature of England. The cause of this erroneous judgment is to be found in the fact that the established Church of England follows a service, or custom, originally derived from the Roman Catholic service, and gives no chance for truly congregational singing, in which every member of the congregation joins, to the number of several hundreds, and even thousands, and requiring for its leadership a colossal organ, which, however, may be insufficient to disturb the congregation when once started in a well-known choral melody; they hold their own, and may compel the organist to be silent if he has not the presence of mind to keep in unison with the congregation. Large as these organs are, they cannot in power compete with a great number of the divine instruments -- the human voice -- when united in a plain choral melody. Like a full orchestra may predominate over a single instrument, a large church organ may predominate over an orchestra, but a united chorus of many human voices will predominate over even a large church organ. 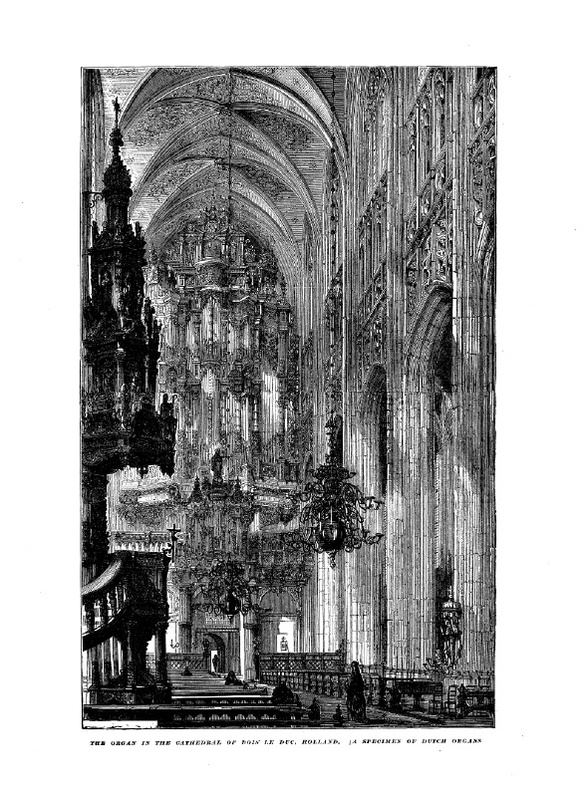 The event referred to, that the large organ was to be overhauled, induced me to make the acquaintance of the organ-builder who had undertaken the labor, and I found him to be willing to give me all the information I wished, of which I made a liberal use, so as to satisfy my desire for information about the details of an instrument, which, in regard to power, may be considered the king of musical instruments. Any one in the least familiar with the construction of large church organs, will agree that it is one of the most admirable products which human ingenuity has contrived, and may be considered equally meritorious as a dynamo, an electric motor, steam engine, hydraulic motor, etc., all of which have recently been made serviceable to produce the most necessary element in the organ namely, the blast of air which gives it life, and, as we may truly say, also the soul, which inspires it with the power to produce the religious emotions so desirable in the practice of public divine worship. General Krayenhoff, one of my fathers old friends, on hearing of my interest in the structure of church organs, called my attention to the fact that the science of acoustics was very far behind most all other branches of physics; thus, for instance, in optics everything was based on positive mathematical principles, by which the curvature of lenses required for telescopes and microscopes could be calculated a priori with absolute certainty, while in acoustics a great deal was still subject to empiricism. He added that if I would contribute something to the progress of science, there was a wide field open in this branch of pursuit, while in optics almost everything had been determined and settled long ago. He advised me to make a specialty of acoustics. I did so, but my love for progress induced me to take some other steps, and led me to give more attention to that most charming application of acoustics -- music. There was one inducement which perhaps was the main cause for this tendency -- namely, the attraction of "forbidden fruit." I had often heard my father say that his boy might study anything he chose to learn, except music. Why? Because all the musicians he had ever known were men of very loose moral character, especially those who played the fiddle. This might have been so when he was a boy in 1780, but there were in 1840 several respectable violin players in the town. I overslept. They found some more survivors. After mass, Father Lahey spoke about the effect of the economy on the parish. The rectory staff have all gone down to four days a week. The salaries of all active priests in the archdiocese are frozen. He asked us to increase our donations. Today the whole family had the whole day off so we went for a drive to Sonoma and played tourist. We went to the Sonoma Cheese Factory and got some food and ate outside in the sun. We had a walk in the plaza and saw only one duck. 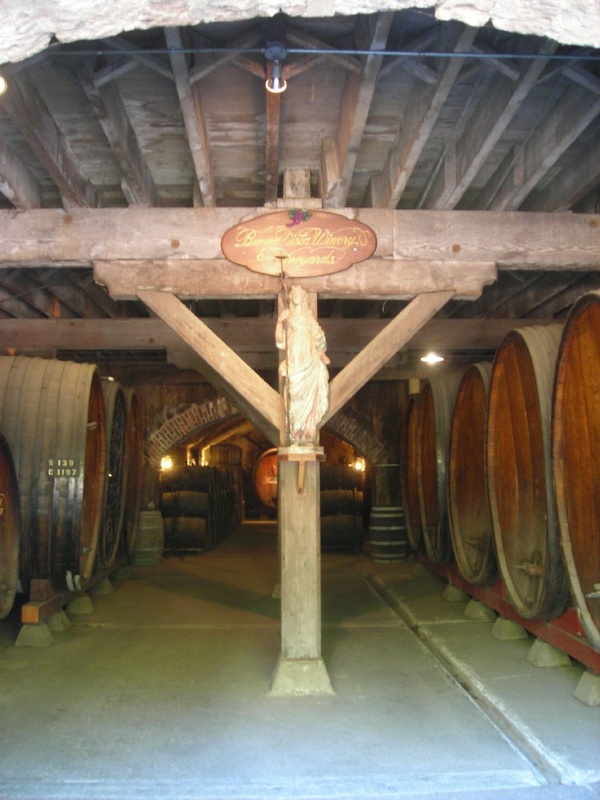 We went to the Ravenswood Winery and bought two bottles. We went on to Buena Vista and bought two more. I took the photo of the caverns today. 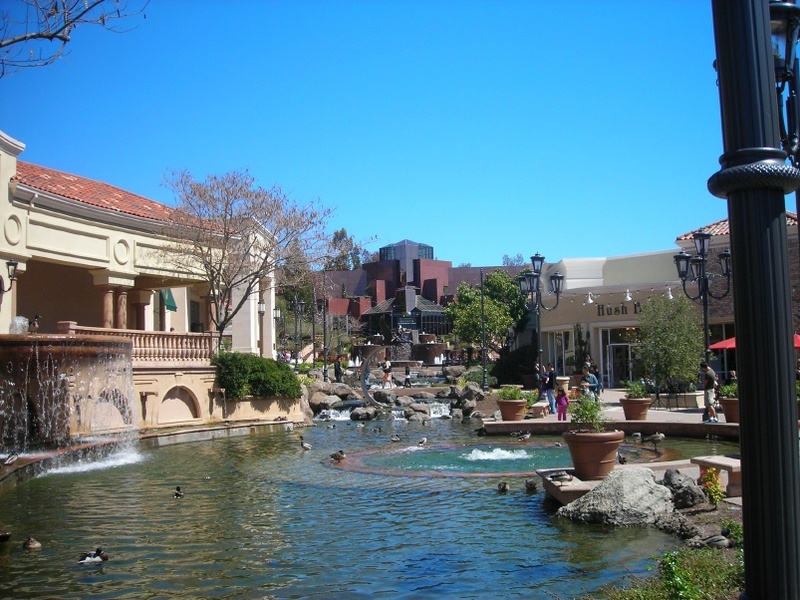 We drove on to Petaluma and visited the outlets. It was warm, but not excessively. Traffic was light on the way back. Another of my favorite railroads is the Mount Tamalpais and Muir Woods, a standard gauge line that climbed the mountain using geared locomotives. Customers could also ride gravity cars from the summit down to Muir Woods. The logo depicts the famous Double Bow Knot, where the tracks paralleled themselves five times in a short stretch. 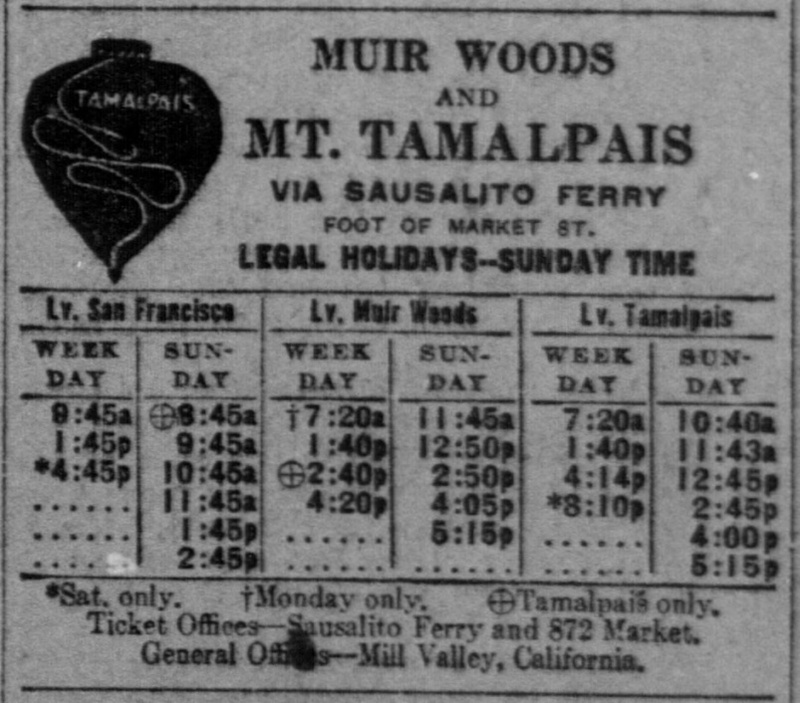 In 1909, customers would take a Northwestern Pacific ferry from San Francisco to Sausalito, then get on a third rail electric train to the end of the Mill Valley branch, where they could catch a mountain train. The ad is from the 29-December-1909 San Francisco Call. It was very windy yesterday and today. On the San Mateo bridge, a truck blew on its side, then a fishing boat drifted into the bridge. They are still trying to free it. We continue our ride around the Disneyland Railroad. 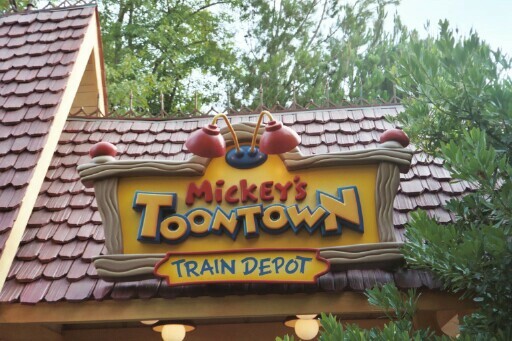 This is sign at Toontown Station. Toontown Station has no straight lines and a fake water tower. It is the newest station on the line. If you want to learn more about the Disneyland Railroad, look for Steve DeGaetano's book Welcome Aboard the Disneyland Railroad. I have reviewed the book soon on my Park Trains page. The American captain was rescued from the Somalian pirates yesterday. This was the first time an American ship had been attacked by pirates (not privateers) in 200 years. Happy Easter, everyone. I took the photo on our way to the Easter Vigil. 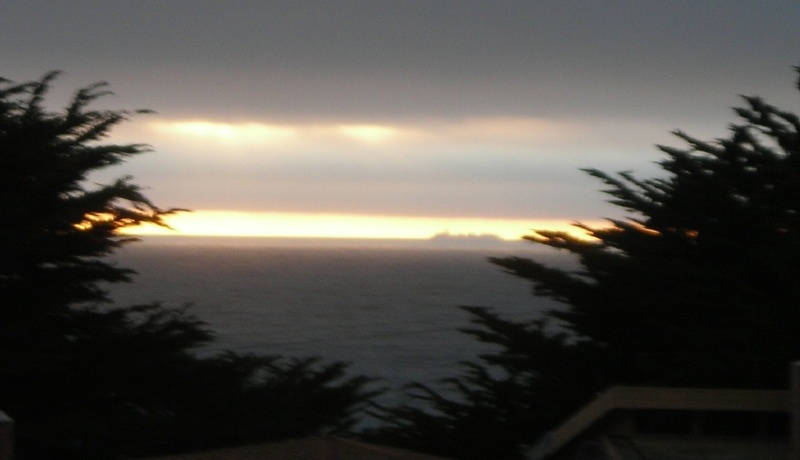 It's a little fuzzy because I cropped it small, but I was struck by the ship silhouetted on the horizon. The vigil was long but I liked it, though I missed the creation story from Genesis. We played tourist this morning, making up for a trip we weren't able to make in March. 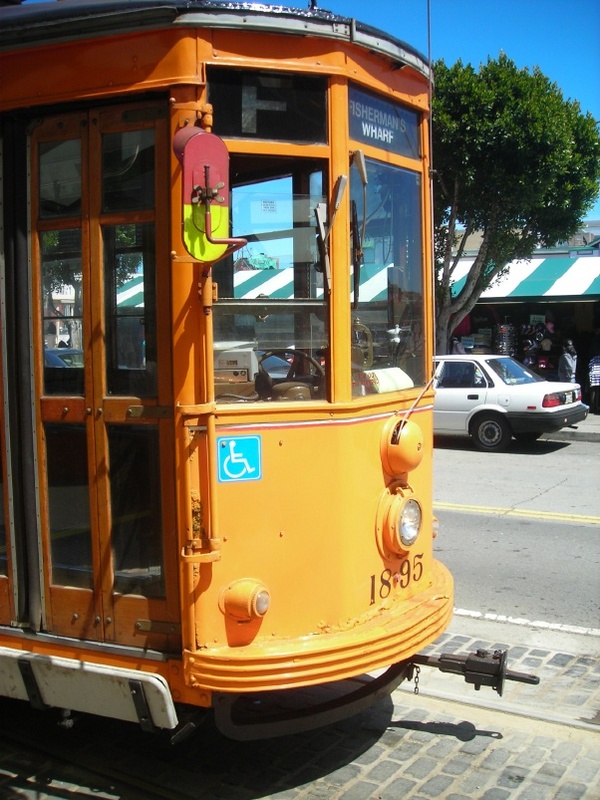 We parked at Fifth and Mission and caught the Philadelphia Cream Cheese car, 1060, to Pier 39. We walked around there a bit and enjoyed the sun. There weren't many sea lions. We walked over to the Rainforest Cafe and had lunch. Fish and chips. We caught 1895 heading back, but he stopped to pick up an inspector because he had trouble with his brake. We had to get off at the Ferry Building. We took Muni Metro out to Powell and walked over to Macys to see the flowers. It was a nice show. Tonight we'll go Easter Vigil. Busy day at work. I got out at noon and went to Notre Dame then on up to Old Saint Mary's. It rained today but I got out for a bit at lunch time. A helicopter kept flying back and forth and lots of people were staring at it. 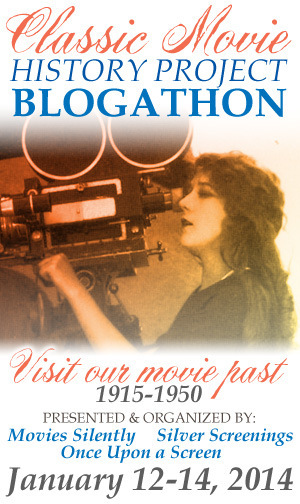 It turns out someone was making a television pilot. The Giants lost yesterday but won today. Joe Martinez, who got the win on Monday, got hit in the forehead by a comebacker with two out in the ninth. He had to be helped off the field. Mike Cameron, who hit the ball, was very upset. Nick Adenhart, who pitched well for the Angels against the Athletics yesterday, was killed after by a drunk hit-and-run driver. 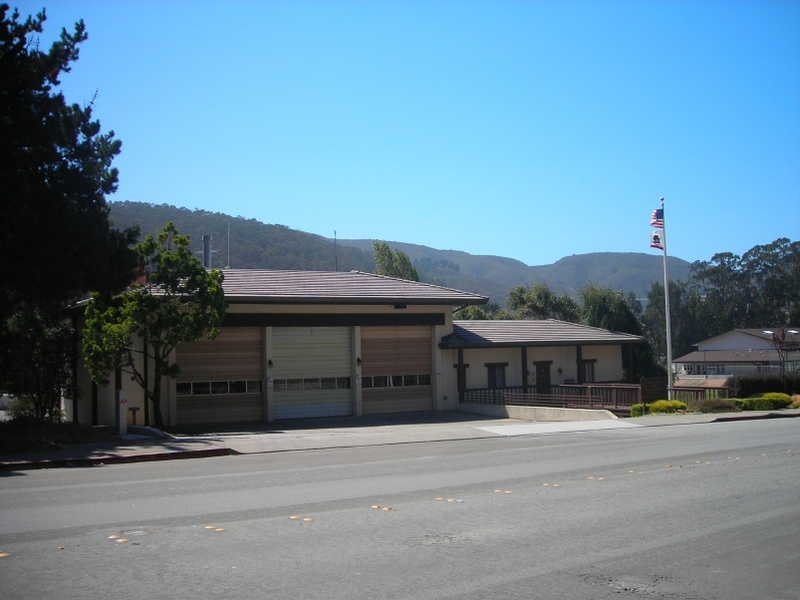 North Coast County Fire Authority Station 72 in the southern end of Pacifica. I took the photo on 06-September-2008. 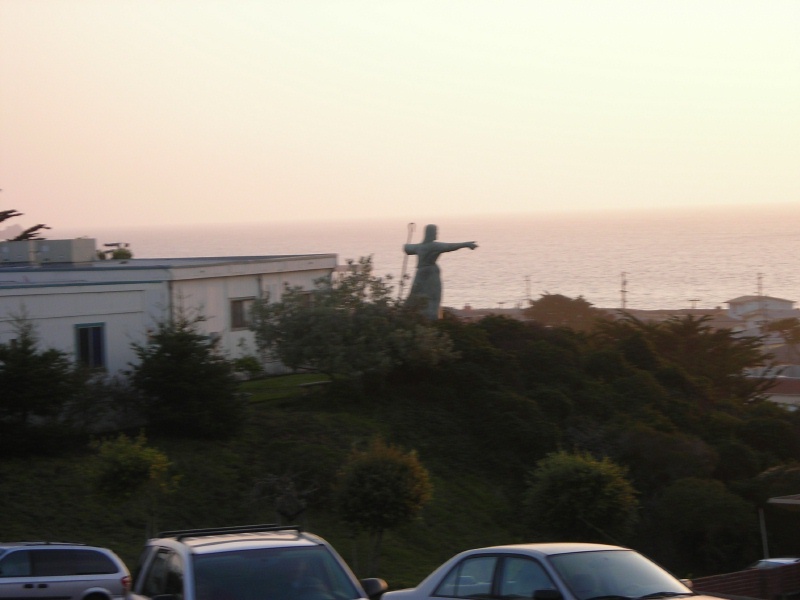 There are only two active firehouses left in Pacifica. Today was Opening Day for the Giants. I was worried because it rained hard during the morning, but I got out for 30 minutes at lunch time and it only dribbled a bit. The Giants beat the Brewers 10-6. 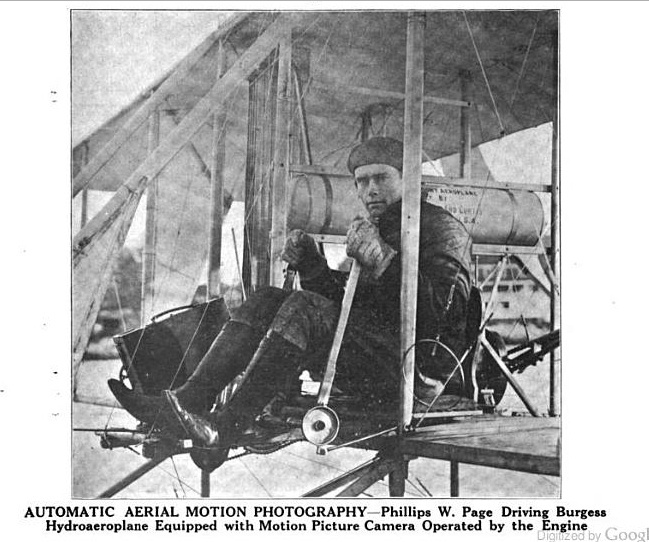 An early example of shooting motion pictures from an airplane. This rig required only one person on the airplane, since the camera was motor-driven. The Burgess hydroaeroplane (float plane) used Wright-type controls. Phillips Ward Page was a pioneering flier who lived long enough to became a naval aviator in World War One. He died in a flight accident during the war. This photo is from Aero and Hydro: America's Aviation Weekly, 13-January-1912. We had a nice day. Our daughter had a job fair at a middle school in Dublin. We went to a mall nearby and walked around. After she was done, we went to Blackhawk and they saw the plaza for the first time. Kids were doing an Easter egg hunt. We bought salads at the supermarket and ate lunch outside. Then we went to the Auto Museum, which is celebrating its 20th anniversary. I see why people have complained. There are not as many old cars. I was hoping to see the Mercer. The family enjoyed the cars. It was nice to see the Duesenbergs and the Bugattis. There was an exhibit about stamps. We went to Palm Sunday mass. I had to organize the collection. The Chronicle has been running Herb Caen's columns all week... He could write. 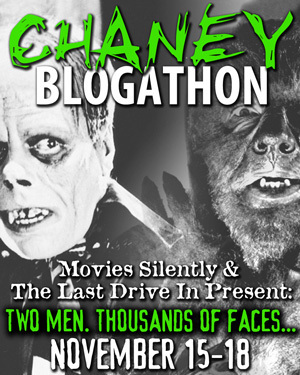 The Caryl Chessman and George Moscone columns have were very strong. John Hope Franklin died. I always enjoyed hearing him speak. The San Francisco Chronicle announced today that the Little Man's chair will be empty forever. He has been laid off. We will miss him.